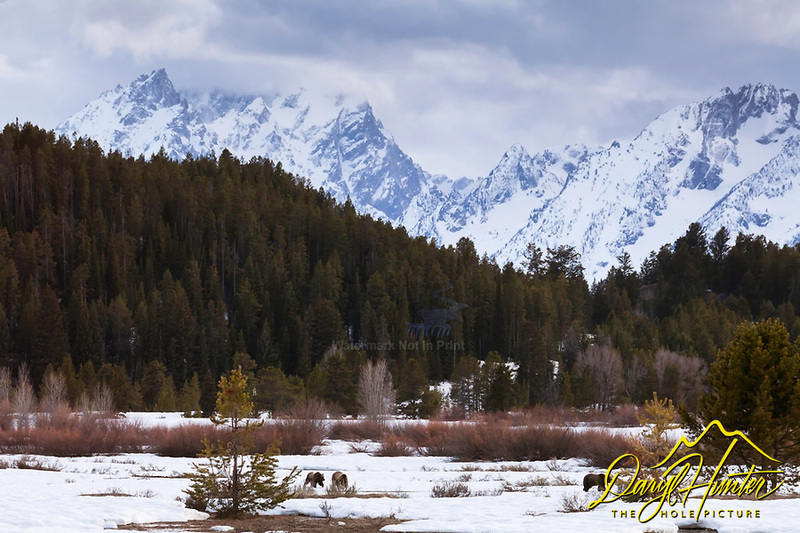 Nothing makes a Grand landscape grander than when you can use Grizzly Bears for a foreground element. I love both landscape photography and wildlife photography, nirvana is when you can combine the two. This is Grizzly Bear sow 610 with her cub crop from 2014 beneath the Grand Tetons where they live.